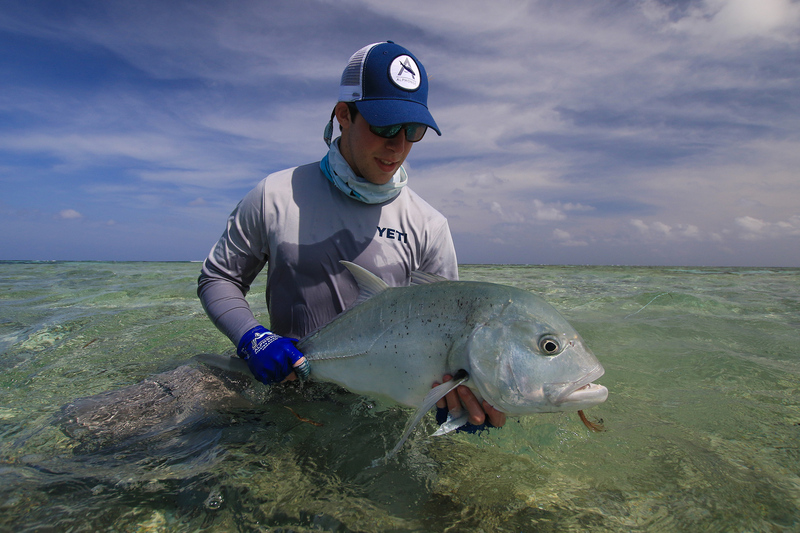 Strong winds and heavy seas paired with an all-day falling spring tide made for some challenging conditions at times out on the flats. 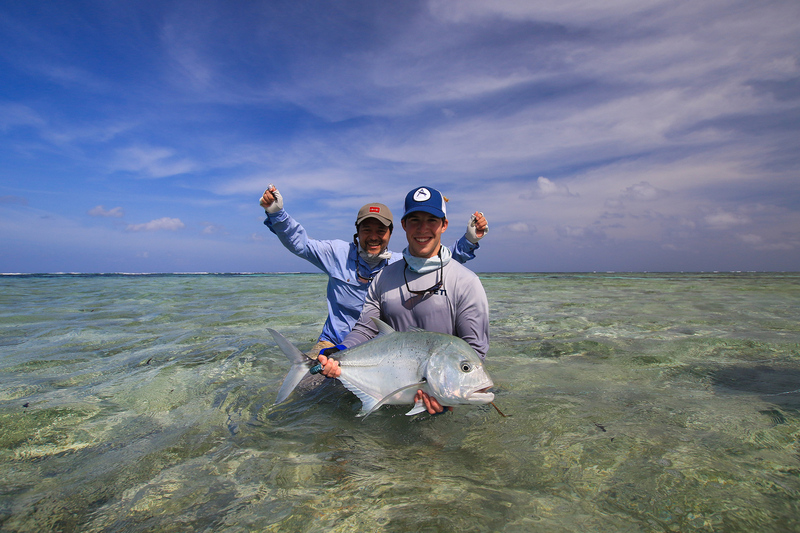 The sun did shine and there were plenty of fish about with schools of bonefish making it fairy easy to catch 20 or more in a day. 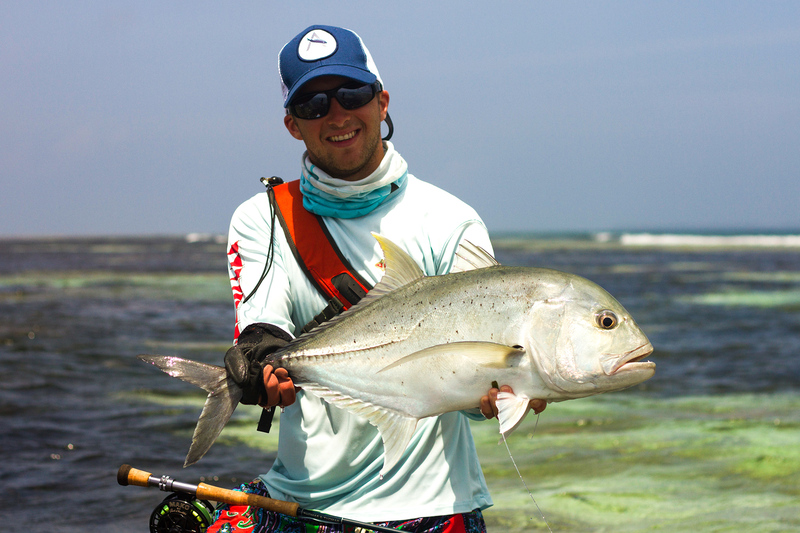 The milkfish fishing was described as “wild” this week with five making it to the net and many more hook ups. 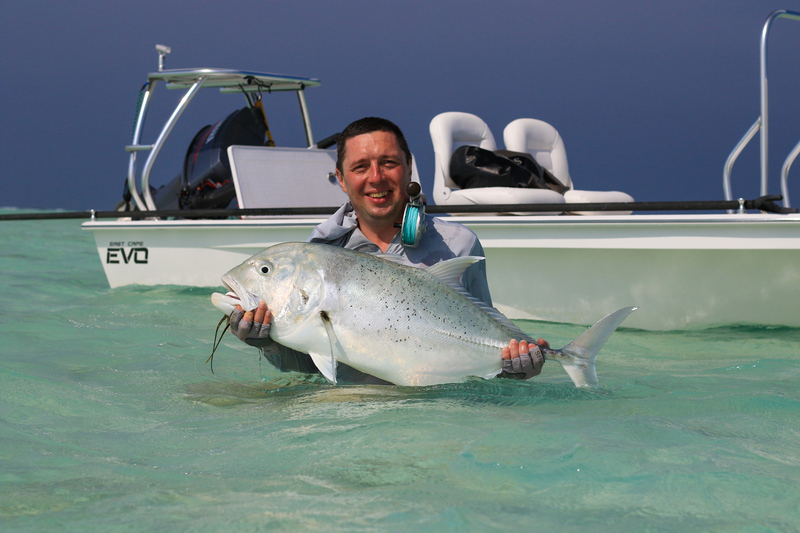 Burke Hildner managed to land the ‘fish of a thousand casts’ and followed it up with a perfect 100cm GT and a bonefish to make up a fantastic “Grand Slam”. 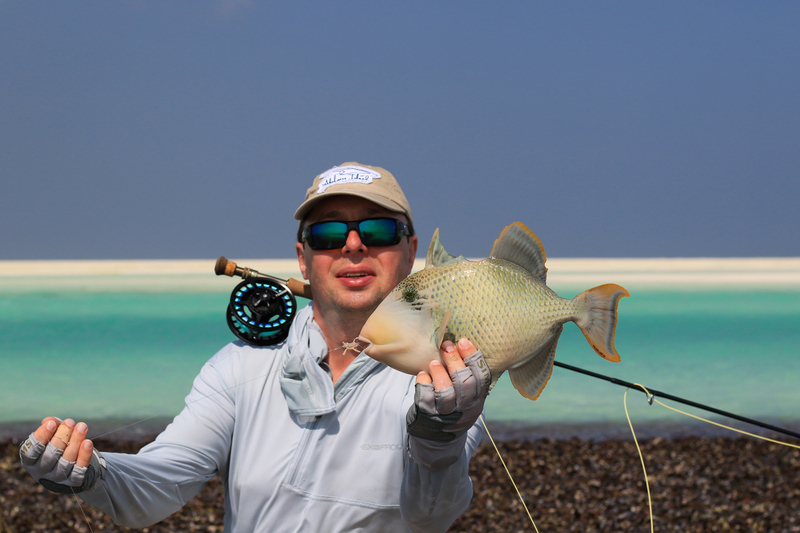 Also getting in on the ‘Slam’ action was Serhiy Larin with a 96cm GT, bonefish and the only yellowmargin triggerfish to complete a ‘Flat’s Slam’. 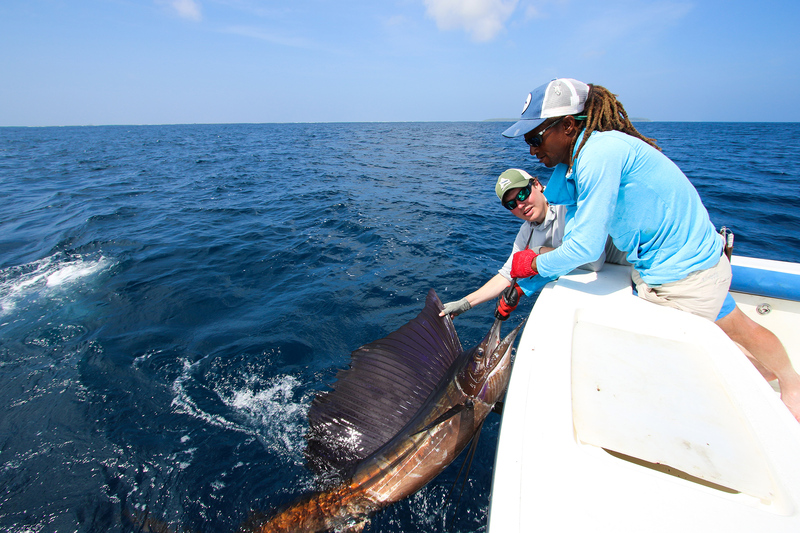 Despite rough seas the bluewater yielded a solid variety of species and numbers of Sailfish on fly, Wahoo, Yellowfin and Dogtooth tuna all came boat side and were released to fight another day.